It’s Nearly That Time Eggain! 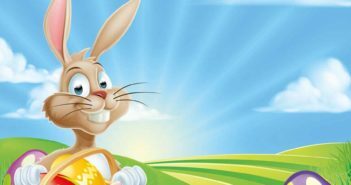 It is already that time of year again when we look at what chocolate delights are on offer for this Easter! I have been really busy tasting lots of chocolate (how awful for me) to see what I can recommend for all the family. There are even a couple of gift alternatives for those who don’t like or can’t eat chocolate. 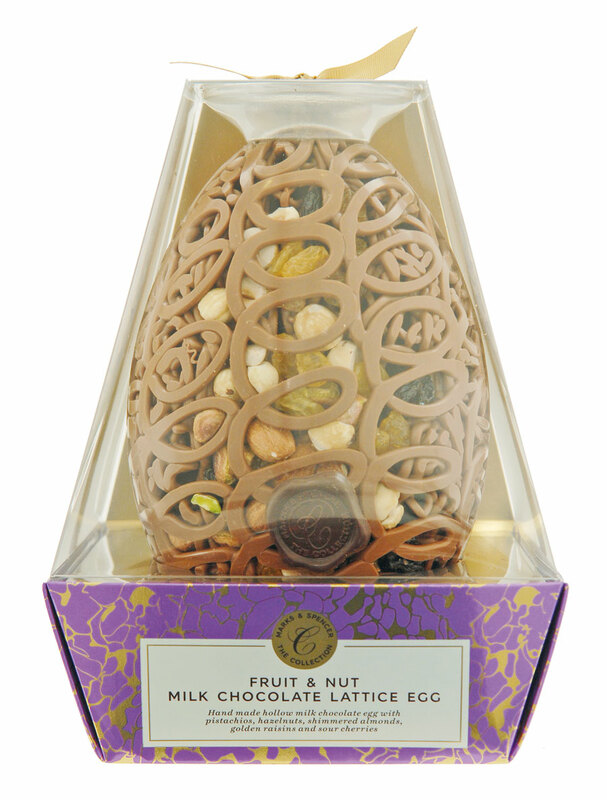 This beautiful egg looks like it is glistening with jewels as behind the lattice chocolate front peeks juicy golden raisins, and sour cherries along with nuts such as almonds, hazelnuts and pistachios. This egg is perfect for adults. 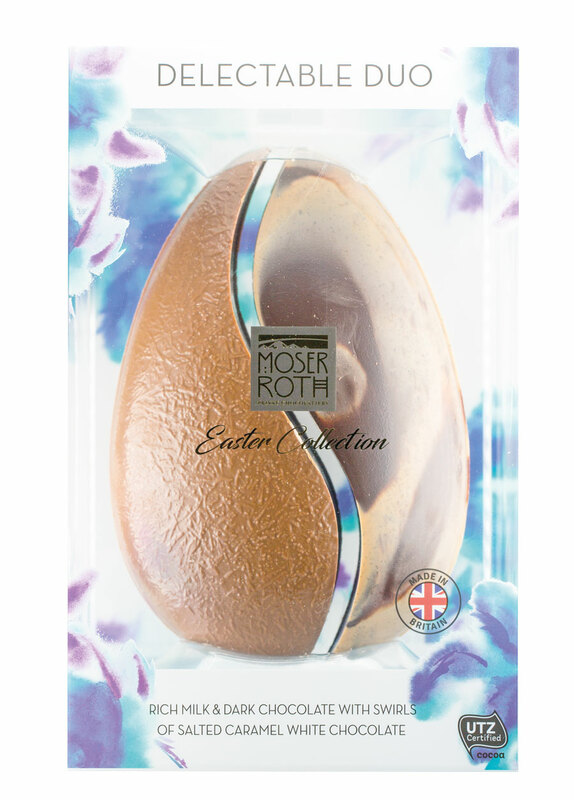 This octagonal egg is hand painted in shimmery gold and pink colours so looks like a work of art in the smart packaging. 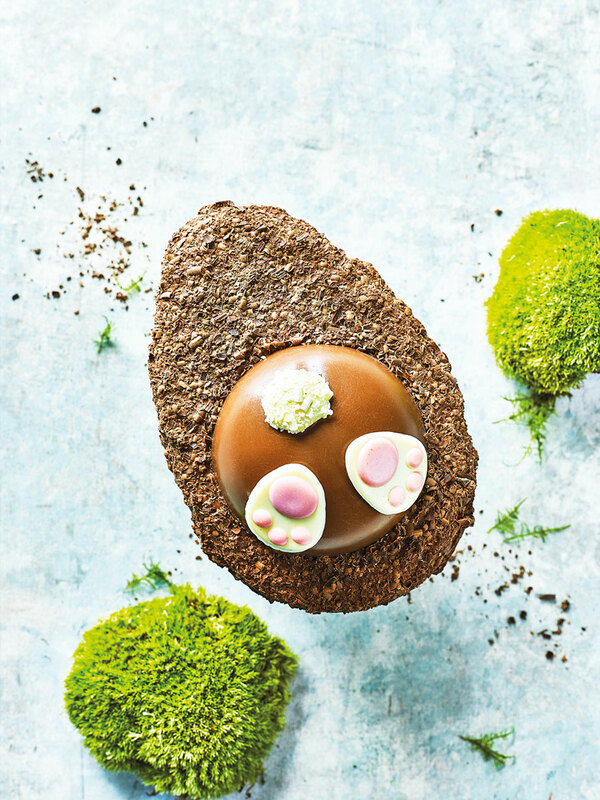 The creamy egg comes accompanied with mini marc de champagne truffles adding to the decadence of this very grown up egg. Perfect for the stylish adult in your life! This very cute egg looks just like a bunny burrowing his way into the ground! The milk chocolate egg is decorated with dark and milk chocolate sprinkles and the bunny has an adorable white chocolate tail and feet decoration. All children will love this one. 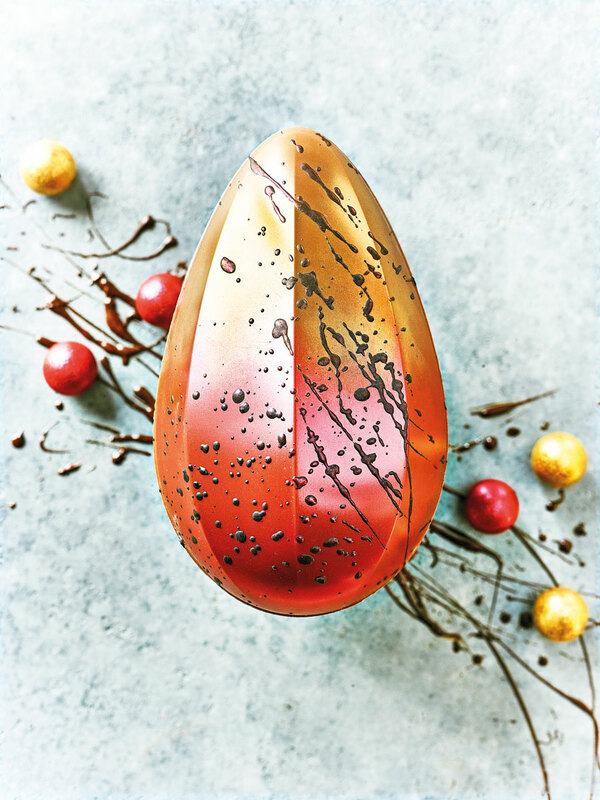 This milk chocolate hollow egg is packaged in eye catching orange. It looks like a boiled egg complete with yellow yolk and white chocolate decoration spilling out of the top. The yolk holds a surprise – it is filled with gooey caramel! This egg would suit anyone, but I think older children and teenagers would appreciate it the most. 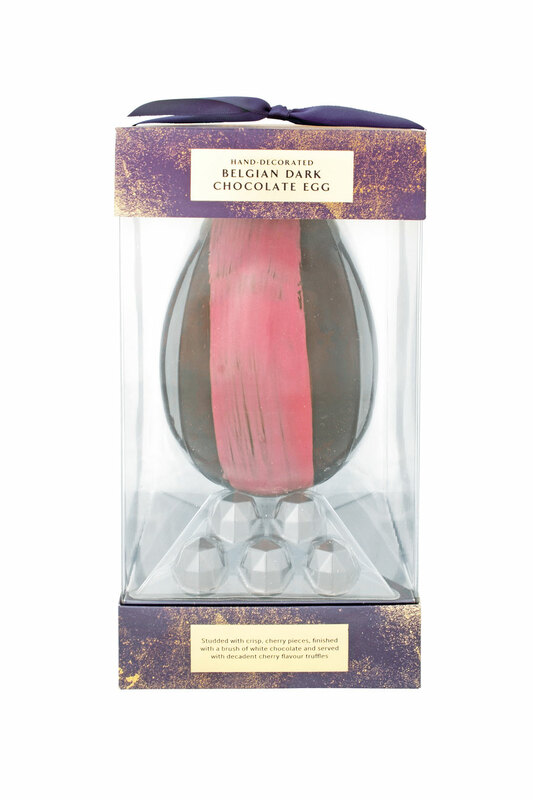 This dark chocolate egg has a cherry flavour to it along with cherry pieces inside the chocolate. It comes with cherry truffles too. This is one of three flavours in the Extra Special range this year and is perfect for adults who prefer the rich combination of dark chocolate and fruit. If you cannot choose which egg to go for between the three in the Extra Special range, why not try them all? This pack contains all three eggs in a mini version. 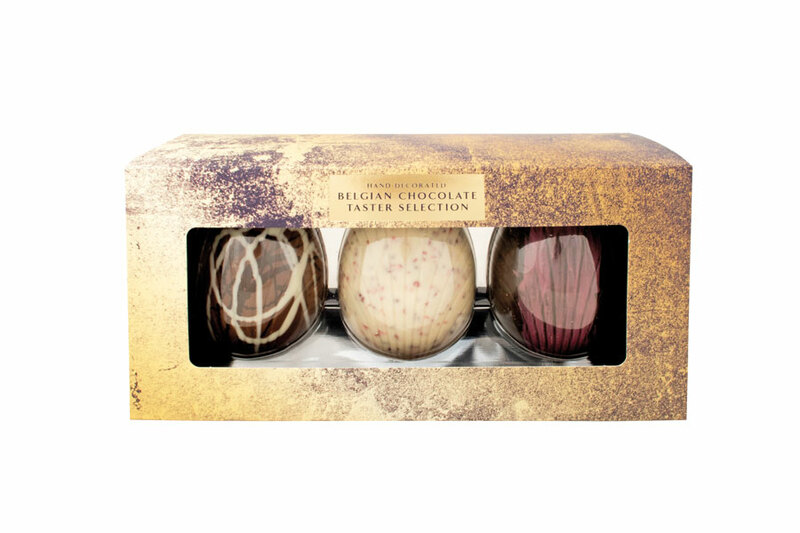 There is the dark chocolate cherry egg, milk chocolate studded with salted caramel pieces and a white chocolate egg speckled with freeze-dried raspberry. Perfect for the indecisive adult! This milk chocolate egg looks fun with a white chocolate egg ‘splatted’ on the front complete with yellow yolk. 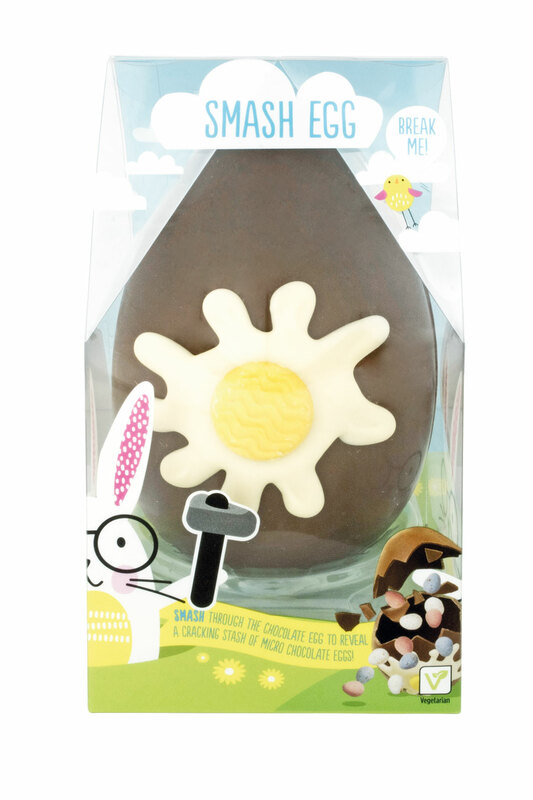 Give it a smash though and all will be revealed – lots of tiny, crunchy mini eggs spill out! I think slightly older children will love ‘demolishing’ this egg! 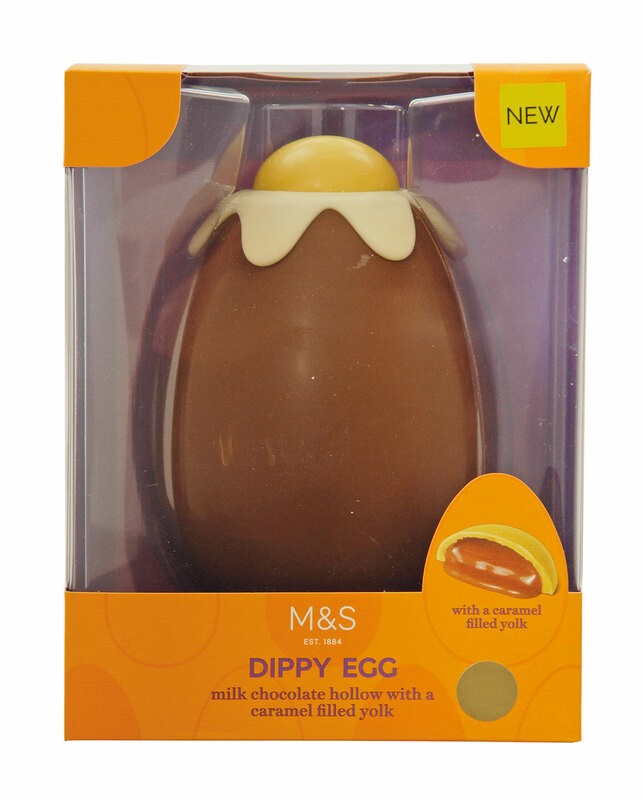 This cute little milk chocolate egg is a great alternative to your usual boiled egg! 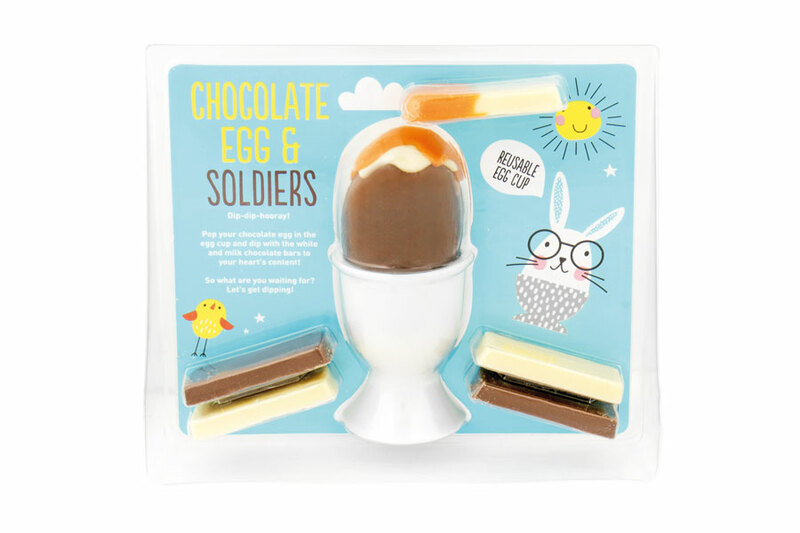 It comes with its own milk and white chocolate soldiers and a real ceramic egg cup that you can reuse for the real thing. 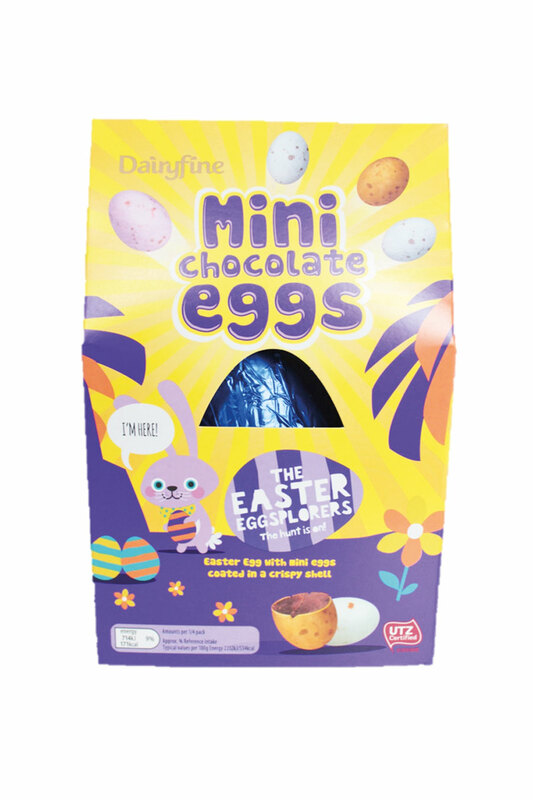 Slightly less chocolate than a huge egg so ideal for younger children who will love the novelty. This offering from Tesco looks super stylish with its simple, eye catching design. 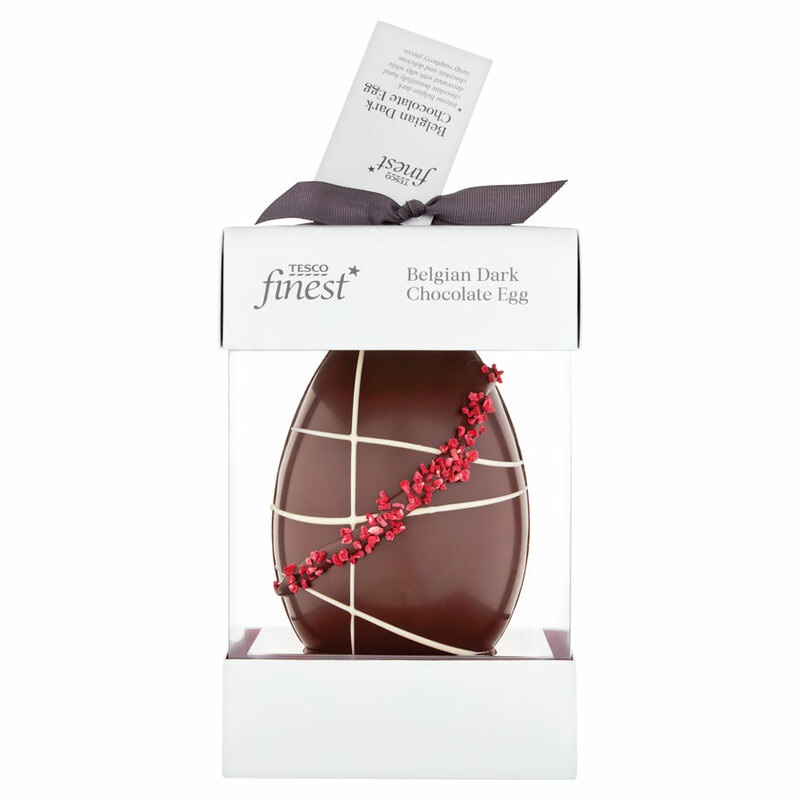 A hollow dark chocolate egg hand decorated with silky white chocolate and a stripe of freeze dried tangy raspberry pieces. Definitely one for the adults who will love the strong, rich taste! Doug is a real cutie! Young children will love this milk chocolate figure with his white chocolate teeth and green feet detailing. His eyes beg you to pick him off the shelf! The cocoa used to make Doug is Rainforest Alliance certified too, another great reason to choose him. The chocolate is light and creamy making him ideal for younger taste buds. These half and half eggs look elegant in their floral boxes. They come in two different varieties – milk and white chocolate with raspberry, or milk and dark chocolate with salted caramel. They are both creamy and delicious. Great for adults. This reminded me of something straight out of Willy Wonka’s Chocolate Factory! 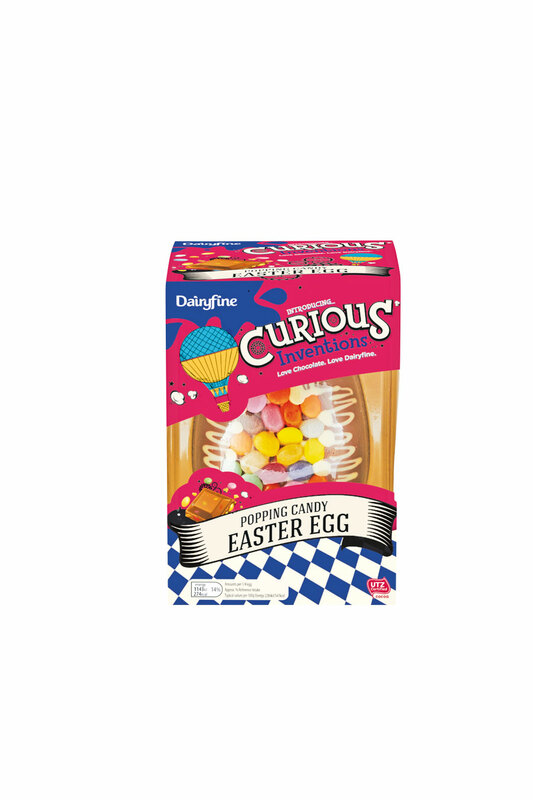 The packaging is really funky, and the eggs come in three different flavours to tickle your taste buds. I tried the popping candy one which was decorated with jelly beans and coloured chocolates on the front. The popping candy was infused through the milk chocolate and quite delicate so not overpowering in your mouth. Other flavours to try are Rocky Road and Honeycomb. Teenagers and older kids will love these. 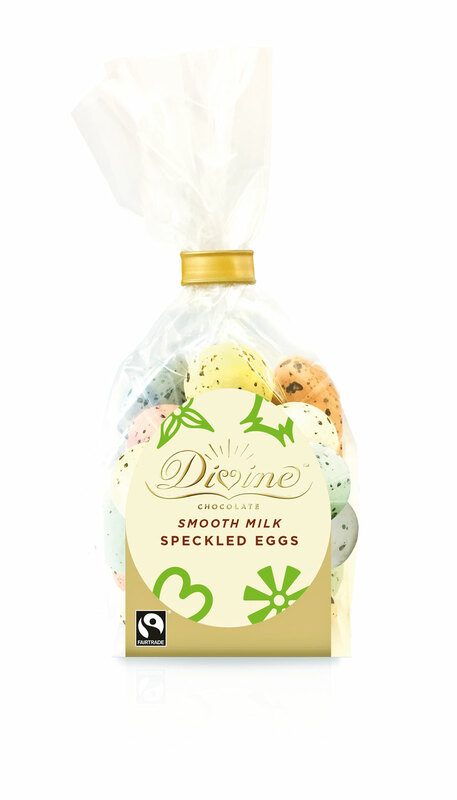 These deliciously creamy milk chocolate eggs are ideal for younger children. The smooth chocolate is light and tasty. There are two to choose from – mini chocolate eggs, and buttons. 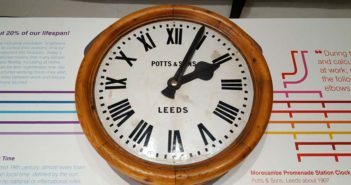 Both lovely and an absolute bargain! 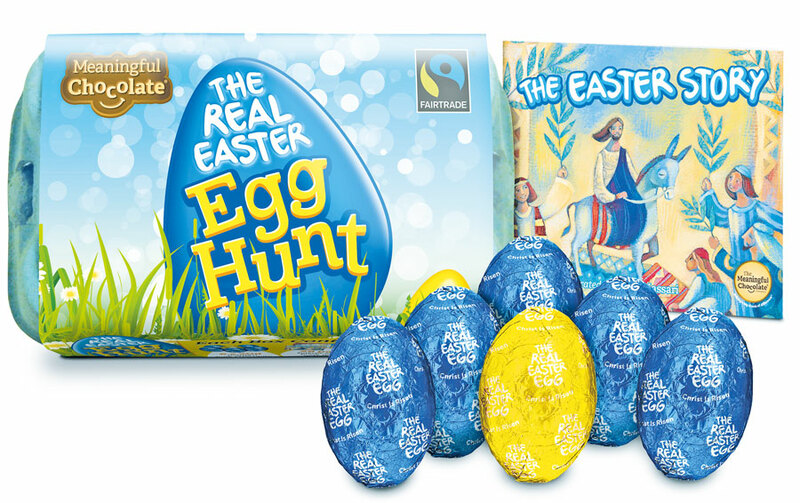 The Real Easter Egg brand is ideal for families who want their children to understand the real meaning of Easter. The Egg Hunt box contains six individually wrapped eggs so that you can have fun with your very own hunt in the garden or house. 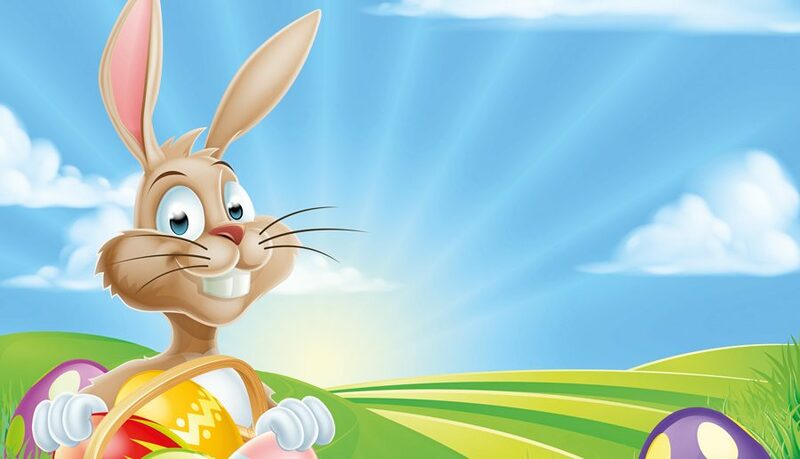 Also included is a 12-page cross shaped Easter story activity booklet for even more fun. The chocolate is really creamy tasting and uses ingredients that are ethically sourced. Easter Eggs are fantastic, but for the creative children in your life, they will appreciate this chocolate lolly maker as they get to make their very own sweet treats. 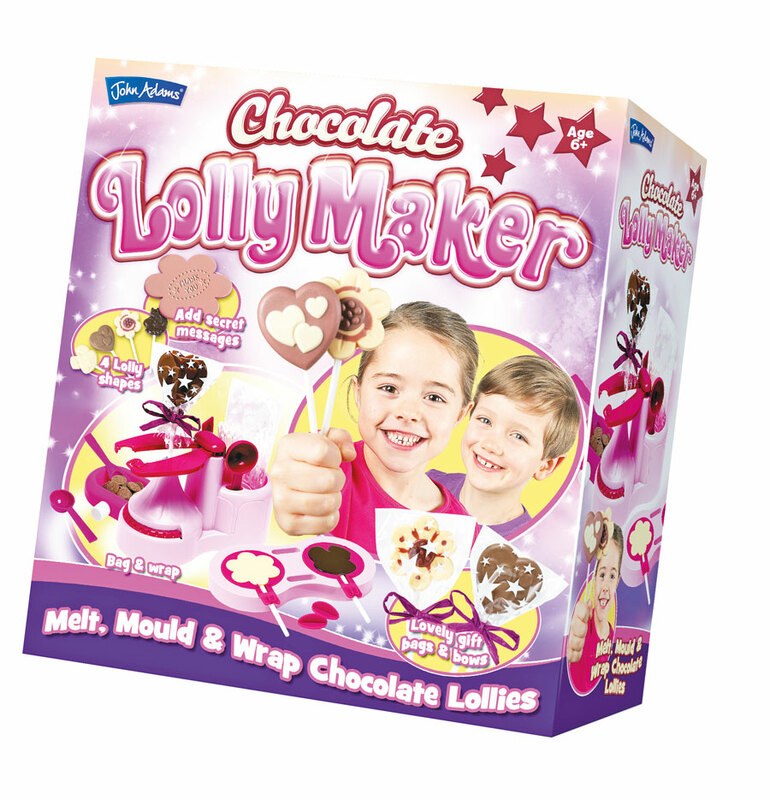 The kit includes everything you need – just melt, mould and wrap! There are four different mould designs, a flower, heart, horse and rabbit. 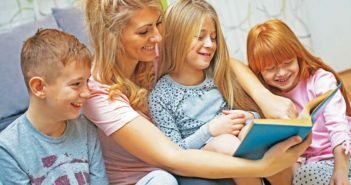 A great gift – the only question is – will they share? 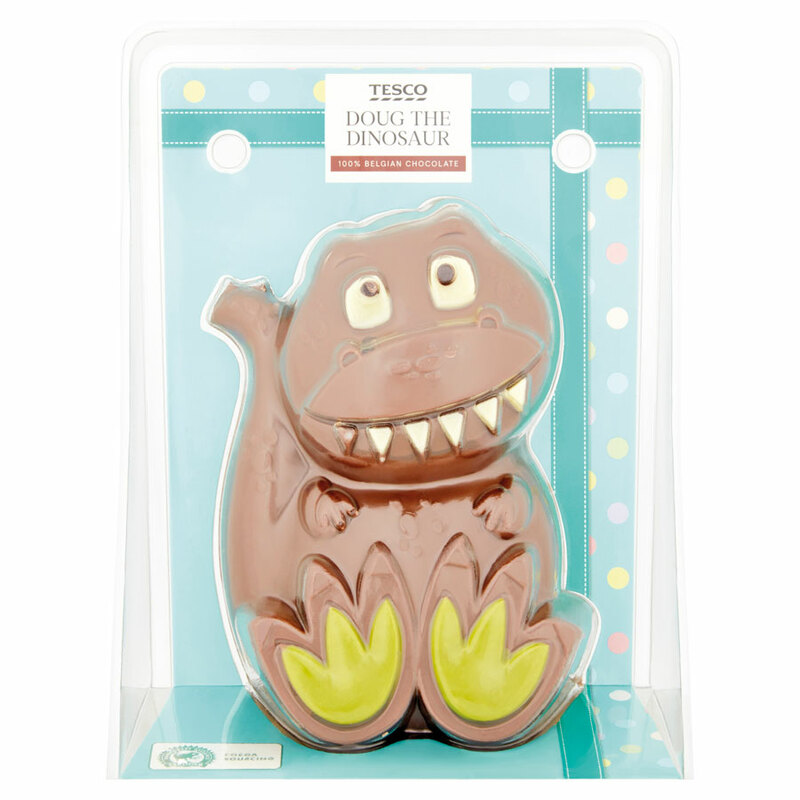 These cute collectibles are hugely popular at the moment and make an ideal chocolate free gift for Easter. There are sets suitable for all budgets. The 1-pack blind bag at £2.99 contains one surprise Hatchimal, and the 2 pack at £4.99 contains two eggs and one nest accessory. 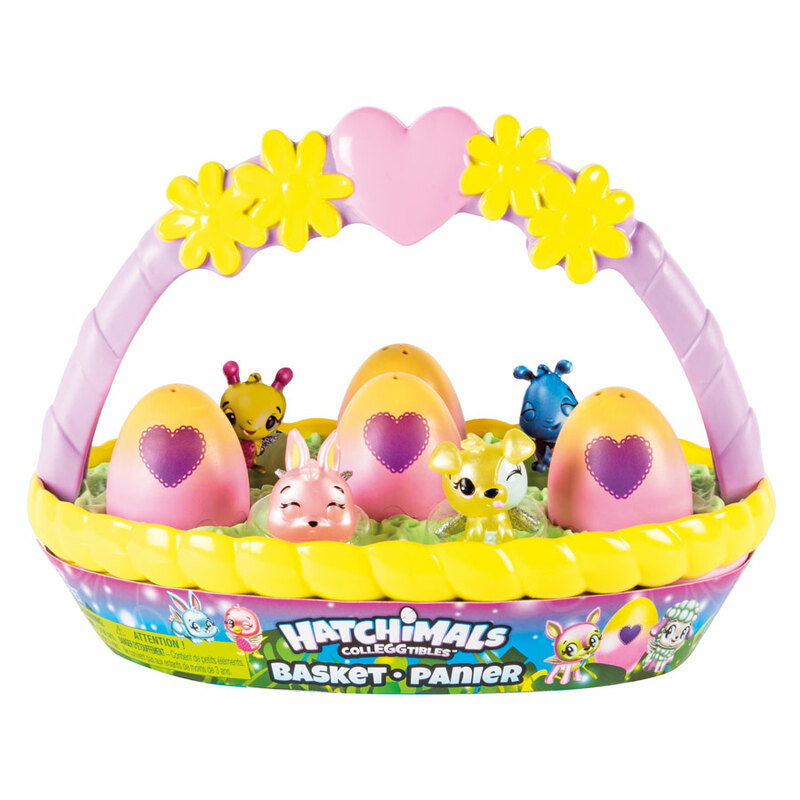 The Easter Basket (srp £19.99) contains 4 in-egg and 2 out-of-egg characters nestled within a sweet pastel coloured basket complete with carry handle. If you purchase a Hatchimal for the child in your life, will they be lucky enough to find a rare golden one? Born Gifted have a lovely range of chocolate free Easter gifts such as personalised mugs, but I really like the Glass Easter Bunny Bracelet at £5.99. Suitable for age 5+ they are absolutely adorable. 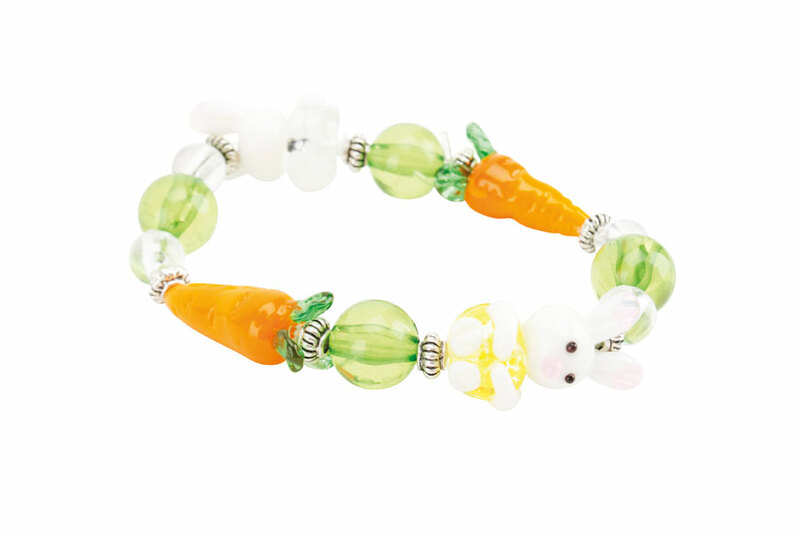 Threaded onto a stretchy string are white bunny beads, bright orange carrot beads and green and clear cat’s eye beads. All made from glass, they are incredibly shiny and catch the light. Perfect for little princesses!